Ms. Major was selected for inclusion in 2012 through 2017 Illinois Super Lawyers® and has been selected among The Top Women Attorneys in Illinois during that time period. Super Lawyers is a rating service of outstanding lawyers from more than 70 practice areas who have attained a high-degree of peer recognition and professional achievement. The selection process is multi-phased and includes independent research, peer nominations and peer evaluations. Only 5% of the attorneys in Illinois are named to the Super Lawyers list each year and fewer than 2% of women attorneys in Illinois are named to the list of The Top Women Attorneys in Illinois. In addition, Ms. Major is recognized as a Leading Lawyer in Illinois in the area of "Employment Law: Employee" as selected by the Law Bulletin Publishing Company in 2012 through 2016, which conducts independent research and peer surveys as part of the selection process. This distinction is earned by fewer than 5% of all lawyers licensed to practice in Illinois. She is also recognized as a Leading Women Lawyer in Illinois as selected by the Leading Lawyers Network for being among those lawyers who were most recommended by their peers in statewide surveys. Ms. Major was also selected as a ACQ Global Awards category winner for US (Midwest) Employment lawyer of the year for 2014 and The Law Offices of Ruth I. Major was selected as a category winner for US (Midwest) Employment Law Firm of the year for 2014. Ms. Major is also a category winner in the US Leading Lawyers section and the Firm is an overall category winner for 2014. For the last 11 years, ACQ magazine has established itself as a leading monthly title for the M&A advisory community, requested by over 106,000 senior executives in the market and providing them with a regular snapshot of industry activity that has taken place around the world. For the past eight years, the ACQ Global Awards have been celebrating achievement, innovation and brilliance in their annual awards. This is an independent nomination process with the award winners chosen by the industry itself. All category winners in the ACQ Global Awards 2014 represent this ethos. Ms. Major is rated Superb by AVVO (10 out of 10), a firm that independently rates lawyers using mathematical model to ensure consistency, and she has been selected by the Ten Leaders Program as one of the top ten lawyers focusing on Employment Law in Chicago Region. Leaders are chosen in the area of law, medicine, finance, architecture and technology based on independent and unsolicited research. Ms. Major practices in all areas of employment law, with a particular emphasis on counseling professionals on contract and compensation issues. Ms. Major’s broad-based experience ranges from representing individuals to Fortune 100 companies in state and federal courts, arbitrations, and before governmental administrative agencies, both in single plaintiff claims and class actions. In addition to handling employment matters, Ms. Major has handled commercial litigation, including fraud claims, breach of contract cases and shareholder disputes. Her vast experience in both employment and commercial litigation makes Ms. Major especially qualified to represent clients in a full range of employment and business disputes. Ms. Major has spoken and written on employment issues on numerous occasions. Most recently she presented at the Chicago Bar Association's Commercial Litigation Section on trade secret issues, the National Employment Lawyers Association (Chicago Chapter) annual Seventh Circuit Court of Appeals conference on financial matters concerning employment law issues, the Practicing Law Institute’s Employment Law Institute (faculty member) on methodology used in selecting cases, and the Chicago Bar Association’s Labor and Employment Committee on the current trends in the law concerning the enforceability of non-compete agreements and also OSHA Whistleblower Claims. From 2011 through 2013 Ms. Major wrote a monthly Seventh Circuit labor and employment update for the Federal Bar Association’s Labor & Employment Law Section. Her article "The Battle Between a Public Employee's Right to Free Speech and a Public Employer's Interest in Protecting Its Operations Returns to the Supreme Court for Another Round" appeared in the May/June, 2014 edition of the Federal Lawyer and her article "McDonnell Douglas: The Oft-Misunderstood Method of Proof" appeared in the May 2012 edition of The Federal Lawyer. 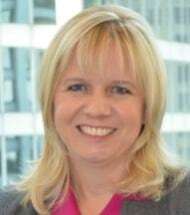 She was recently appointed to the Chicago Bar Association Judicial Evaluation Committee's Investigative Division and the Federal Bar Association Membership Committee (National). Ms. Major's article on the federal military leave statute, "Military Leave, An Employer's Obligations" appeared in Franchising World in January 2002 and since that time has been recognized as a valuable resource on the statute. It has been cited to as authoritative on the topic including on such websites as franchise-guide.org, encyclopedia.com, alllbusiness.com, accessmylibrary.com, highbeam.com, goliath.com and entrepeneur.com and has been sold on Amazon.com since its first publication. Prior to starting her firm, Ms. Major was a partner at both a boutique plaintiffs’ employment firm, Penny Nathan Kahan & Associates and in the litigation department of a major Chicago law firm, formerly Gardner Carton & Douglas (now Drinker Biddle) where she primarily represented employers. Her experience representing both employees and employers gives her a unique perspective on the employee-employer relationship and enables her to quickly identify grounds for mutual resolution of employment disputes. Before attending law school, Ms. Major was a financial information specialist with the then largest national bank headquartered in Chicago.